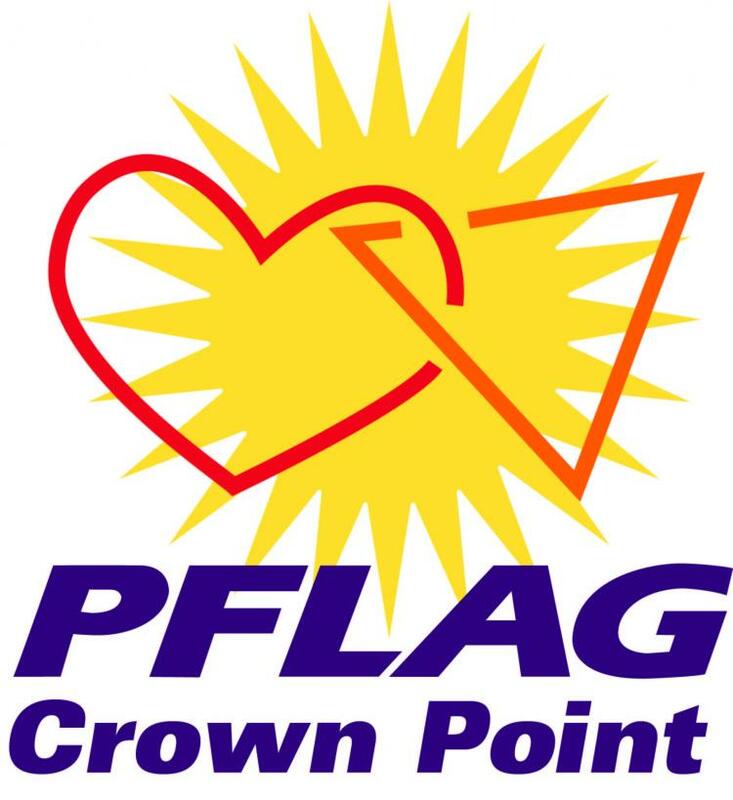 PFLAG Crown Point, a nonprofit organization, is a newly formed chapter of PFLAG National, and provides support for family, friends, allies, and members of the LGBTQ community. We do this through support, education, and advocacy. Monthly support group meetings are open to the public, adults (and teens accompanied by an adult) are welcome. Please join us! PFLAG Crown Point, a nonprofit organization, is a newly formed chapter of PFLAG National, and provides support for family, friends, allies, and members of the LGBTQ community. We do this by providing support and education to individuals and community members, and by teaching people how to advocate for equality. We hold monthly support group meetings on the third Tuesday or Thursday of the month at the Crown Point Library from 6-7:30pm. Meetings are open to the public, adults (and teens accompanied by an adult) are welcome. Please join us!